Unless you’ve been living under a rock for the past few years (which is not OK — seek help if you have! ), you’ve probably become, at the very least, acquainted with the Los Gatos, California based movie rental company, Netflix. Since its founding in 1997, Netflix quickly grew into the successful, publicly traded company it is today by uniquely cornering the movie rental market. 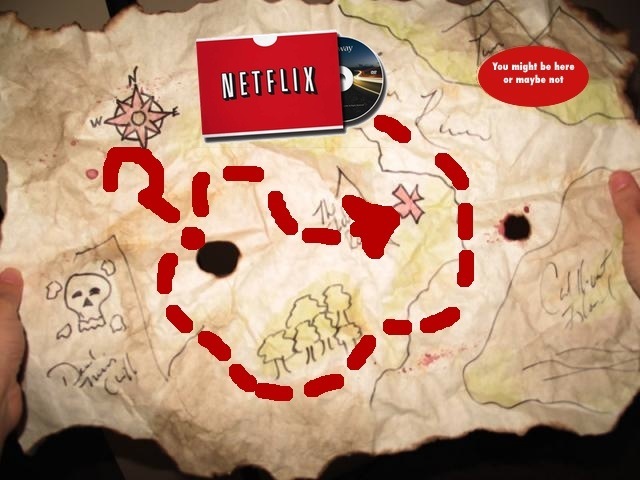 Unlike competitors, Netflix cut costs by doing away with fixed customer rental locations and opted for central distribution facilities from which they would mail discs to customers. In this system, they provide customers with unlimited movie rentals from a huge movie library, with selections in DVD or BluRay form, at one low, monthly, flat rate. And, best of all, there are no late fees! This revolutionary system single handedly brought movie rental giants, such as Blockbuster and Hollywood Video, to their knees leaving them scrambling to find ways to compete with Netflix’s winning system. However, this seems to have been in vain, as Netflix reports annual revenues above $1.3 Billion! What does this have to do with computers, you ask? Well, seemingly unbeknownst to Netflix, there has been a quiet movement brewing that combines both the affordability of the Netflix system and the ingenuity of some software developers, namely those who developed a program called Handbrake. It turns out that, when the FBI wrote that, they had certain innovative people in mind like those who began using the method I’m about to describe! On average, Netflix subscribers receive, watch and return their movies in approx. 1 to 3 weeks. Moreover, normal subscribers, in order to view one of those movies again, must wait for Netflix to redeliver the movie (per the person’s movie cue). However, some computer savvy subscribers employ Handbrake to record the movie when they receive it, thus allowing them to watch it whenever they want. After, they return it immediately (or ASAP), maximizing consumption. Here’s how it works. Upon opening Handbrake, the program automatically detects the location of the movie on the loaded DVD. However, instead of trying to copy the movie file from the disc (which I think is nearly impossible), Handbrake plays the movie and records the output. Granted, this takes some time, but, after a half hour or so, the subscriber has a perfect replication of the movie saved to his hard drive! It’s that simple! This marriage of Netflix and Handbrake (and the like) ultimately hurts the movie providers (Apple included) who eventually experience declining revenues. That is, as customers become more dependent upon their own illegally assembled libraries, they are less likely to draw from these corporate movie suppliers. If Netflix doesn’t raise subscription prices or somehow render copying applications defunct, widespread pirating could ultimately lead to reduced movie title diversity or even the shut down of these providers. Is the latter very likely? Hard to say, but this is the business of pirating movies. Moral of the story? There isn’t one, as best I can tell, and I wrote the article!